Last week we looked at Habakkuk crying out to God about the violence and injustice taking place in his own nation—he wondered how long God was going to let it go on. God responded by saying Look at the nations and watch—and be utterly amazed. For I am going to do something in your days that you would not believe, even if you were told. (1:5) And then God goes on to tell Habakkuk that the utterly amazing thing He is going to do is let their enemy, the Babylonians, wipe them out. I don’t know about you, but that’s a hard thing for me to wrestle with. I want God to just fix things and make it easy on us. However, even my own life experience demonstrates that hard things come—sometimes as a consequence of my own choices, sometimes as a result of the choices of others, and sometimes just because we live in a fallen world. It’s never pleasant. It’s never what we hope for. It’s never part of our plan. However, God allows hard things. How we respond to those things shows us a great deal about our relationship with God. How does Habakkuk respond to this revelation that God is going to allow them to be totally destroyed by their enemy? He acknowledges God’s sovereignty. In verse 12 he says LORD, are you not from everlasting? My God, my Holy One, you will never die. You, LORD, have appointed them to execute judgement; you, my Rock, have ordained them to punish. Your eyes are too pure to look on evil; you cannot tolerate wrongdoing. He acknowledges that God is eternal, that God is Holy, that God is judge, that God is his Rock, that God is pure, that God has a plan—and then he, Habakkuk, asks more questions. I love that about Habakkuk. He is not afraid to ask. He is not asking out of faithlessness, he is asking the God that he trusts to help him understand—he is asking his “why” questions—but again, not out of faithlessness. This is is such an important point for us to think about. I imagine that all of us have had seasons in our lives when we don’t understand, (or like) what God is allowing. I believe that scripture shows us that it’s absolutely okay to take our very honest questions to God. What’s true is that He knows our thoughts, He knows our hearts, so trying to pretend like we don’t have questions when we do, is an exercise in futility. The most alive, real relationships are honest and authentic. That includes our relationship with God. However, there is a huge difference between asking from a place of faith, and asking from a place of faithlessness. Without faith it is impossible to please God. (Heb. 11:6)…even in our questions. How do we see God? Are we willing to let Him be God and trust that He is working out His plan, even in the devastating moments of life? I had a long season when I didn’t do this well. My mother died when I was 11. I was raised in a very godly home, and had been taught that God is love (which is true); however, in my mind, a loving God would not have allowed my mother to die, so I spent the next 10 years of my life wrestling against God. I was going to show Him—make Him pay for doing that to me—but all I did was make self destructive and others destructive choices which led me absolutely nowhere good. God continued to pursue me throughout those years, and at times I would move toward Him, but because I had an inaccurate view of Him, and still harbored resentment toward Him, I returned over and over to distancing myself from Him. When I was in my early twenties I got held up at gunpoint. I’m going to rewrite that sentence—when I was in my early twenties, God allowed me to be held up at gunpoint. It was a strangely wrapped gift. The young man who held me up was quickly apprehended. My friend who was with me and I went to night court, identified the young man, and then I headed home. I called my parents (my dad remarried when I was 12), and got into bed replaying the events of the night— remembering the gun against my belly and the fear. All of the “what could have beens” began going through my mind. In that moment, God spoke to me very clearly. What a question—and what an easy answer. No. Absolutely not. Self destructive party girl was not the legacy I would have wanted to leave. The following morning I began making different choices—new friends, new place to live, and new pursuit to get to know God. An accurate view of God is crucial in hard seasons. My choices, because of my inaccurate view of God, led me to some very dark places. How do you see Him? When life gets hard do you lean into Him, or push Him away? Do you ask questions or give Him the silent treatment? And Habakkuk responds: The LORD is in his holy temple; let all the earth be silent before him. Pastor John took us to 2nd Thessalonians 1:6 which says, God is just: He will pay back trouble to those who trouble you. In this instance, the English word “trouble” doesn’t quite capture the Greek word which means to be totally overwhelmed, under a situation that is so hard to bear that you can’t breathe and aren’t sure that you will survive. So Paul, who lives in a time when Christ’s followers are being burned alive, killed by lions in arenas for sport, imprisoned, beaten, tells the Thessalonians to persevere in Christ—that the day will come when God will trouble the persecutors. Our human response to this is “Yes!” And oftentimes we want to help God trouble those who have troubled us, so much so that those thoughts consume our minds and become destructive idols that we give our hearts and attention to. However, God never gives us permission to hold a grudge, to withhold forgiveness, or to get our own revenge. He wants us free. He wants us to trust Him to be just. He wants us see things His way. Habakkuk, he climbed up on a wall to get a new perspective. He knew that even in the hard stuff, God was at work. He chose to look for Him, to look to Him, to trust Him. He recognized the violence and injustice of his own people, he knew that an enemy that was violent and unjust was coming their way to wipe them out, and he chose to trust God. Wow! In my own story, I am now able to see that a wiping out is what led to new life. I’ve had more than one wiping out season. I don’t like them, but in retrospect, I can see how God has used them for my good and His glory. This is hard stuff…nothing about our human nature will lead us to respond to those who’ve hurt us, or who will hurt us in these ways. It’s a Spirit thing. Are we willing to wrestle honestly with God, climb to a high place to see what He will say to us, and acknowledge that the LORD is in His holy temple; let all the earth be silent before Him. He knows what He’s doing and it’s ultimately all about His glory. Have you ever needed Jesus as a “Wonderful Counselor”? I have. But I didn’t come to Him calling Him by that name, not initially. I came to Jesus because I needed His counsel. The “wonderful” part comes into the picture because He comes and meets us in that space. He chooses to stop by our wells and offer the living water we’re desperate for. Jesus comes to us and He asks for our honesty. He lifts our faces up, out of the dirt of our messy lives, and lets us see the kindness in His eyes, the twinkle that beckons us to follow Him. He invites us to remove our masks-He’s looking straight through them anyway–and gives us the space to tell Him our whole truth. Space to lay our burdens and confessions at His feet. He listens as we ask our many questions. When Jesus comes again, He will call His sheep to Himself. Those who have heard Him, who know His voice, who have listened to His counsel and done what He says to do. Those whom He knows. Those who know Him. There will be a separating in that moment… I want to be a sheep. But what if we know Him, we’ve heard Him, we know His voice–and He’s just not speaking? What if we’re in a season of waiting and we’re tempted to just give up because the silence seems more than we can bear? We have asked and pleaded and sought the wonderful counsel of our Savior and what we’ve heard is… nothing. What then? In the silence of a midwinter dusk, there is far off in the deeps of it somewhere a sound so faint that for all you can tell it may be only the sound of the silence itself. You hold your breath to listen. You walk up the steps to the front door. The empty windows at either side of it tell you nothing. For a second you catch a whiff in the air of some fragrance that reminds you of a place you’ve never been and a time you have no words for. You are aware of the beating of your heart. The extraordinary thing that is about to happen is matched only by the extraordinary moment just before it happens. Advent is the name of that moment. I pray that in this season of Advent, we will come to know, to really know Jesus as our Wonderful Counselor. That we’ll so long to hear His voice, we’ll hold our breath so we don’t miss Him. I pray that as He comes-and He always comes-we will be left breathless, awestruck by the wonder of Him. And I pray that we’ll persevere and hold onto the hope that is found in Jesus alone. Counselor—one who gives guidance, who gives advice. Pondering this description of Jesus makes my heart swell with love and with longing. There is so much packed into these two words, and no one else, throughout all of time could live up to this description. Laura wrote about wanting to be a sheep in the fold of Christ—one who listens to His voice and does what He says. I do too. I want Him to be my Wonderful Counselor, not just as a title that He holds, but in my daily life on a practical and real level. John shared with us the very practical pieces of how to benefit from counseling. I, like John, have had the benefit of having a human counselor join me on a healing journey and I agree wholeheartedly with John’s advice. 1. We must be willing to be brutally honest with our counselor. We have to be willing to let our “ugly” parts show. If we don’t expose those places in ourselves, we won’t find healing. Masks and/or self-deception will not serve us well. 2. We must be willing to listen to what our counselor has to say. Have you ever noticed that the words listen and silent are composed of the same six letters? In order to listen, I must be willing to be silent. Listening is more than hearing. A quick Google search of listen versus hear brings up this statement: “Hearing is the physical activity of sound falling on the ears and the biological processes involved in its perception. Listening is the ability to pay attention to what the sound means and understand it.” Pay attention—understand—listen. 3. We must be willing to do what our counselor says. We must recognize that our counselor is for us, not against us. Our counselor is working with us to help us find healing. Sometimes our counselors will give us hard things to do. My counselor, when she suggested something that I wanted to push back against, would say: “If it makes you feel like you want to throw up, it probably indicates that you need to do it.” Ugh! I hated that! But, when I followed her counsel, her guidance, she was right every time, and I grew. One other thing I’d add—I had to make time to see my counselor, and seeing her cost me. I can say, without a doubt, that it was worth every moment of time and every bit of the cost. John juxtaposed a couple of different stories as illustrations in his sermon. He reminded us of the Samaritan woman that Jesus talked to at Jacob’s well in John 4. When she asked Him for the water that He offered, He asked her a seemingly unrelated question. He asked her to go get her husband and return with him. She had a choice in this moment. She had no idea that Jesus already knew all about her life. She could have lied, she could have acted like she was going to get someone and not returned, but she chose the brutal honesty: “I have no husband,” she replied. Her honesty in that moment, and Jesus’ further revelation about what he already knew led not only to her own salvation, but to the whole town hearing the message of Jesus and many became believers. She was honest, she listened, she obeyed, and her life was changed. John also brought up the story of the Rich Young Ruler from Mark 10. I have always found this to be one of the saddest stories in scripture. The young man comes to Jesus feeling pretty good about himself. He asks Jesus what he needs to do in order to inherit eternal life, and Jesus reminds him of the 10 commandments. (Let me throw out the reminder that no one could keep the law…all have fallen short), this young man says he has kept all of these. Hmmm. Maybe he’s genuinely self-deceived, or maybe he’s trying to impress Jesus. Either way, he’s not being honest with himself or with Jesus. Verse 21 tells us that “Jesus felt love for him”. (I love that Mark includes that detail—just like the Samaritan woman, Jesus knew all about this young man, and still loved him). 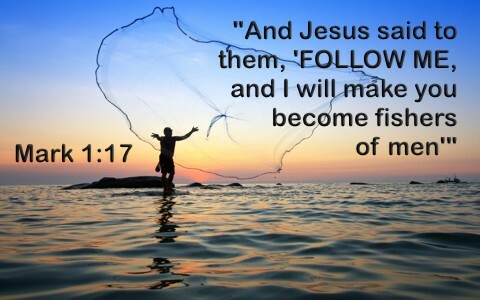 Jesus counsels him to go and sell all of his possessions, give the money to the poor, and come follow Him. The very first of the 10 Commandments is: “You shall have no other gods before me.” I believe, that in this moment, Jesus was giving the young man the opportunity to see that his true god was his money, and in this moment, he could trade his false god for a relationship with the one true God; however, the false god’s hold on him would have to go. The young man chose to walk away. He was unable to be honest, to see his own area of weakness, he did not take the life-giving counsel of Jesus, so he left empty and unchanged. Jesus was willing to be the Wonderful Counselor for a woman who knew she was a mess, and a young man who had no idea that he was a mess. Notice that Jesus does not coerce obedience in either story. He just lays His love and His truth out there and lets us choose. So this first week of advent, the “hope” week, I pray that we recognize that we have a Wonderful Counselor who holds all that we need for healing, for growth, for wholeness, for transformation. I pray that we will make time for Him. His heart is for us. He loves us. He sympathizes with us in our weaknesses. He knows us better than we know ourselves. He gives us His attention whether we come with our authentic messy selves, or our masked selves. He speaks, and we get to choose whether to be hearers only or to listen to His heart of love leading us into true life. He guides us, counsels us, shows us what to do, and we get to decide whether or not to do it. Taking His counsel, doing it His way will absolutely cost us something. Not doing it His way will absolutely cost us something as well. Only one choice will be worth the cost. This Wonderful Counselor will never force himself on us. He will gently guide us, and He promises to be with us every step of the way. Are we willing to go where He leads?